THE National Peace and Reconciliation Commission tomorrow begins the process of taking the country through 21 days of sharing mechanisms on healing and reconciliation. NPRC's outreach programme covers public hearings for healing and reconciliation, national dialogue facilitation, setting up of peace committees and mechanisms for early detection of conflicts. This follows Government's implementation of measures to ensure healing among victims of civil disturbances that rocked Matabeleland and the Midlands in the early years of independence in an operation code-named Gukurahundi. Among key interventions, that are in line with President Mnangagwa's pledge during a meeting with civil society under the banner of Matabeleland Collective a fortnight ago, Government will issue birth and death certificates to those affected. It will also facilitate the exhumation and reburial of victims of Gukurahundi while medical assistance will be availed for those injured during the time. Other restorative justice measures will be rolled out, making good on President Mnangagwa's promise that his administration would not shy away from confronting the ugly past. Restorative justice is an approach to justice in which the response to a crime is to organise a meeting between the victim and the offender, sometimes with representatives of the wider community. This is done to bring closure to the matter. The post-independence disturbances have been a festering sore in the politics of Zimbabwe and we applaud the Second Republic for confronting the sensitive issue head-on as this will ensure the country moves forward in unity and with a common vision. The longer the issue was skirted or parked, the more the narrative was seized on by opportunists and career activists preying on the people of Matabeleland and parts of the Midlands for their selfish ends. It is clear that after the signing of the Unity Accord in 1987 between the former PF Zapu and Zanu, there needed to be a process of national healing and reconciliation because the events of Gukurahundi cannot be wished away. Indeed people lost their lives, homes and possessions with both sides – the security forces deployed to quell a dissident insurrection and the bandits accused of committing atrocities against the civilian population. Our main concern is for the villagers who bore the brunt of the disturbances and we pray that this process addresses some of their grievances which include lack of birth certificates for orphans whose parents were killed during that time, the exhumation and reburial of their relatives and their freedom to freely discuss events which occurred during Gukurahundi so that they find closure. In this regard, Zimbabwe can take a leaf from the experience of Rwanda which went through a period of truth and reconciliation after a genocide which killed close to a million people in 1994. In 1999, Rwanda began its National Unity and Reconciliation Commission in order to work towards a reconciliation of the conflicting parties involved in the genocide with the eventual goal of reunifying the country's citizens. The National Unity and Reconciliation Commission's mission was to promote unity, reconciliation, and social cohesion among Rwandans and build a country in which everyone has equal rights and contributing to good governance. Crucially, Rwanda established Gacaca courts where local judges elected by the community presided over court proceedings. The aim of the Gacaca courts was "to enable truth-telling," "to promote reconciliation," "to eradicate the culture of impunity," "to speed up the trial of genocide suspects," and "to demonstrate Rwanda's own problem-solving capacity." These courts "encouraged offenders to confess, to express public apology, and to offer reparations, thereby facilitating the reintegration of perpetrators back into Rwandan society." While the circumstances of the Rwandan experience and Zimbabwean conflict are different, there are certain aspects that can be used in the local setting. 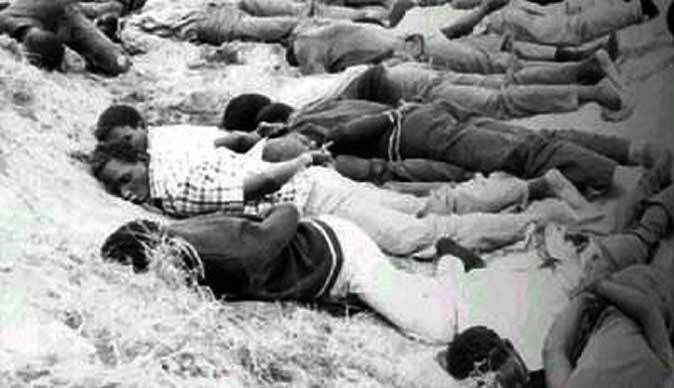 For instance, truth telling is key to bringing closure to the Gukurahundi issue and as the Peace and Reconciliation Commission begins its 21-day programme, we are certain it will emphasise to the people the need to freely discuss the events which happened in their communities without fear. This is because Government has already announced protection mechanisms for those affected by Gukurahundi so that they are free to discuss their experiences. Besides facilitating the issuance of birth and death certificates for victims, Government will also facilitate exhumations and reburials while providing medical assistance to victims who need it. Apart from Gukurahundi, the new dispensation is also working towards addressing other pressing issues in Matabeleland which include completion of the Matabeleland Zambezi Water Project and implementing devolution. We hope the new found spirit of unity and openness between the Government and the people of Matabeleland will benefit the region. The stance adopted by the Matabeleland Collective is progressive as it will ensure that there is movement on some of the pertinent issues which had stalled over the past three decades. There is no more need for an adversarial relationship between civic groups and Government and we are glad they are singing from the same hymn book.